THE STORY - After a botched bank robbery lands his younger brother in prison, Constantine embarks on a twisted odyssey through the city's underworld in an increasingly desperate attempt to get his brother out of jail. Over the course of one night, Constantine finds himself on a mad descent into violence and mayhem as he races against the clock to save his brother and himself, knowing their lives hang in the balance. THE GOOD - Robert Pattinson gives us his best performance to date. The film's sense of time, place and people is truly felt. A unique and memorable electronic score. THE BAD - May appeal more to New Yorkers. An unfulfilled ending. The second act starts to lose momentum. ​There’s something special about New York. The most diverse city in the world and its boroughs are as much of a character in the Safdie brother’s “GoThere’s something special about New York. 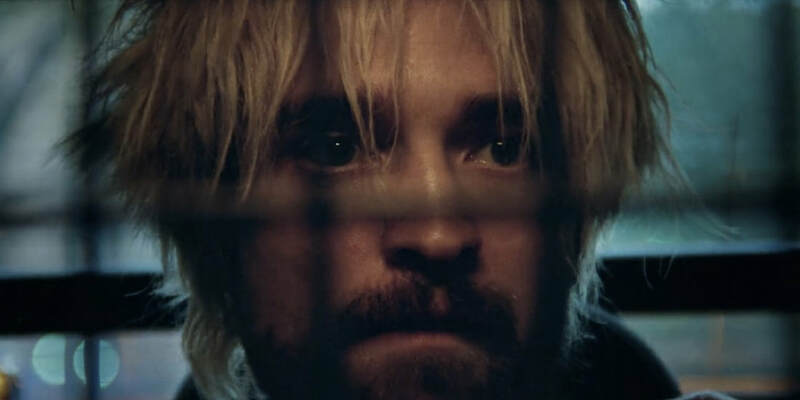 The most diverse city in the world and its boroughs are as much of a character in the Safdie brother’s “Good Time” as is the resilient and good hearted criminal Connie, portrayed with ferocity and anxiety by Robert Pattinson. Filmed with gritty authenticity by the brothers, one of whom also co-wrote the screenplay and the other, playing a key role in the film, “Good Time” feels real and urgent in its storytelling, pacing, and drama. It feels like something that could very well be happening at this very moment, as we see desperate people caught up in bad circumstances still trying to do the right thing and survive in this cruelly unfair world. The film's events take place over the course of a 24 hour period in various parts of the boroughs of New York as Connie (Robert Pattinson) and his mentally handicapped brother Nick (Co-Director Ben Safdie) rob a bank with the goal of leaving their lives in New York behind. The heist goes horribly wrong and Nick ends up in jail at Riker's Island. Desperate to get his brother out of jail where he fears he'll be killed, Connie sets out to gather the bail money needed to get his brother out of prison while trying to evade the law himself. “Good Time” is a film that conveys a tremendous amount of authenticity through its sense of place and dialogue. The characters never speak out of context, forcing needless exposition down our throats nor do they ever spit out a cliche line that encapsulates what the movie is about. Every time you feel that the lead character’s actions are about to be called into question for being too outlandish or improbable, Pattinson finds another way to bring us back to his character’s side. There are many moments sprinkled throughout where you wonder how Connie is going to get himself out of the mess he has found himself in. How will he outmaneuver the police? What will he be forced to improvise next? For a character that has resorted towards criminal activity to solve his own problems, he is driven, intense and fascinatingly smart. He’s no mastermind though. He’s human and Pattinson understands that. He knows that Connie has flaws. His inner thoughts may be more complex than the screenplay’s dialogue but the level of subtext and emotion which Pattinson puts into his performance is ever-watchable, making this possibly his best performance to date. With a commanding presence and a shockingly convincing New York accent, Pattinston lights up the screen. Surprisingly, one of the film’s directors plays his brother and although Ben Safdie himself is not mentally handicapped, he is extraordinarily believable and quite nuanced in his portrayal of the Lenny to Connie’s George. The opening scene alone is enough to wow you in terms of what he is capable of as an actor. Other supporting roles are equally fantastic across the board from Jennifer Jason Leigh as Connie's friend who tries to help him make bail for his brother and Barkhad Abdi as a security guard at Long Island's Adventure Land theme park. However, it's newcomer Buddy Duress, as a criminal on parole who gets tangled up in Connie's story that has an equally compelling and hysterical monologue midway through the film. His natural charisma and comic timing easily cements his status as a true actor to watch despite this being only his second film. Most people will leave talking about Pattinson but really, it’s the entire cast that deserves applause. “Good Time” is a play on the words “hard time,” which is the time one serves in jail for a serious crime. Is it a good time for Connie to be evading the law as he does? Is the good time supposed to represent the time and life that he and his brother envision for themselves? Or is it supposed to represent the time, we the audience will be having while we watch this film? While I doubt it’s the latter, that does not diminish how much fun “Good Time” can be at certain points. The film has some unexpected humor at points which lands very well due to how straight everyone plays their roles and the movie is backed by an overwhelming amount of suspense, style, and energy. The Safdie brothers inject the film with an odd 80’s throwback score which is part “The Guest” and part “Stranger Things.” It may seem like an odd fit for the film considering it is a modern story but it is the very thing which helps to make “Good Time” stand out from other crime heist thrillers.